Bank statement home loans are the new stated income loans. Back when the subprime mortgage bust ruined just about everyone in the housing market, many lenders were conducting unethical practices by using stated income as the proof of income for home loans. But now, with a little bit more finesse and research, lenders have devised the bank statement home loan for self-employed or anyone that cannot prove their income with 1099s or W-2s. Bank statements are usually required regardless of the type of loan you choose. Lenders want to know what you’re spending your money on and how much money is actually going in and out of your personal and business accounts. But, bank statements can also be one of the biggest causes of frustration in the mortgage process and it could lead to multiple requests for more paperwork. 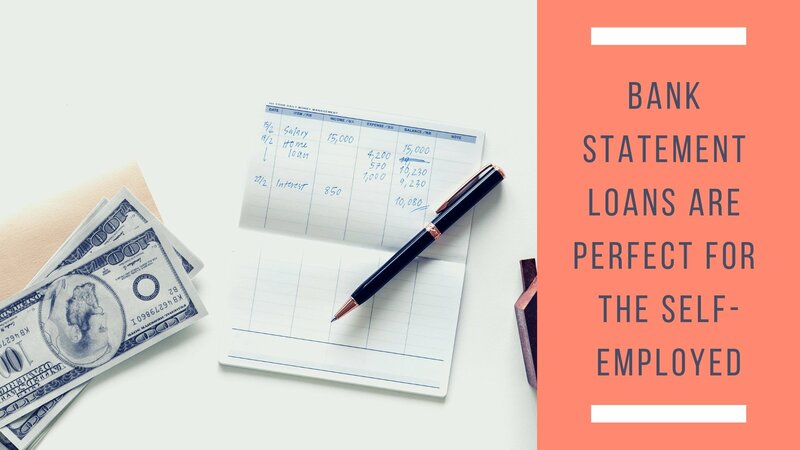 Bank statements can be used to calculate income and in these cases, a lender is looking for deposits that are consistent and can be reasonably averaged over 12 to 24 months. This will give the lender an idea of what the borrowers a real income is. The idea is to find the “consistent” income stream. If the bank account deposits are somewhat similar and consistent, then a lender can assume how much income the borrower is actually taking home. This type of bank statement is a small percentage of most loans but it is a growing market segment. Lenders want to see the borrowers have enough cash to close a mortgage loan and to pay the monthly payment. Higher risk loans may come with higher interest rates and different terms than a conventional loan, but they can be ideal in the right situation. As long as your bank statements don’t show any major discrepancies such as a $50,000 deposit one month and then nothing the next. Most lenders consider a large deposit any non-payroll deposits that account for more than 50% of the monthly income. If you do have a large deposit, they will need to be explained and documented. This can create a lot of clarification in the mortgage process. Lenders will also look at reoccurring debts each month and find consistencies in the expenses as well. These bank statement loans can even work if borrowers have complicated finances, regularly transfer funds around, or even co-mingle business and personal finances. Most lenders just want to see a consistent history for at least 2 to 3 months. This is a great option for anyone that is self-employed or just doesn’t have W-2s to prove income. For a list of lenders that approve bank statement loans please contact my office at any time. I have a list of reputable lenders that I’ve worked with for years that can help you find the right loan and terms for the home that you need.